When you create a website, you mostly consider two things, consumer and search engines. While it has a similar solution SEO friendly websites which are then optimized for various search engines. As a result, it will show on the top in the Google. Thus, when people search for your product or services they will get your site to click on. This is the expectation of the online business owners. Another aspect is creating a user-friendly website so that consumers can access your site on any device they are using. The problem with the business owner is, there are millions of products available on Google. By maintaining a balance between SEO friendly and user-friendly, you can get more traffic. You must have a creativity in project development and content management team so that Google can rank your site effectively for various search queries. Read about the website elements to be considered to reach your online business goals. Web developers mostly focus on the site’s visual appearance and user experience. Designer and developers should pay attention to the page’s visual elements and on the reaction of the user how they interact to these elements. They should keep things as simple as possible since mobile consumers have surpassed desktop or laptop users. 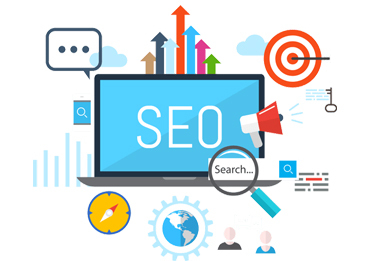 On the other side, SEO marketers will require to focus on the navigation efforts to optimize the site on for search engines. The main navigation should have the standard category pages while you can add some favorable collections. When you click on the required page, you should nicely take to the relevant searches. A large search volume in these new subcategories could drive organic search traffic to the sites. In order to rank higher on the Google SERP, the subcategory pages should focus on the keywords that are expected to rank. Long lengthy content will make the people getting bored while short content will not provide enough information to the customers. Thus, make sure to add the effective and accurate content in your site. Developers are used to add high-quality images on the website without considering its size. On the other hand, SEO team needs to add the smaller and compressed images that determine the site loading time. The great thing for SEO and developers team have the tools to compress the multiple images of the product or relevant to your business site without reducing the image quality. If you encourage the SEO and web designing team altogether from the beginning, you will not need to make too many efforts to rank your site. In order to create an SEO friendly website, you can consult with Base Creative, a leading online marketing services company in Markham.